The type of telecommunications systems and devices a company may use for lone worker safety depend on how it defines ‘lone worker’. Public-facing employees, for example, may need protection from hostile customers. But lone workers in remote areas or industrial sites will experience different threats and use different devices. For these workers André Malm, senior analyst with M2M/IoT market research firm Berg Insight and author of the report People Monitoring and Safety Solutions, says the threat is not usually from an irate public. “Your main threat is actually from the environment,” he states. This could mean, for example, a worker falling off a ladder in a vast treatment plant, someone being involved in a car accident on a lonely road, or even forest wildfires, which, says Gavan Murphy, director of marketing EMEA at Globalstar, “in certain conditions can occur suddenly and spread rapidly, even in the UK”. And he should know. The Globalstar SPOT Gen 3 location-based messaging and emergency notification technology system, which uses satellite communication, has been used by the Forestry Commission in England and Scotland to help protect staff. Diane Somerville, health, safety, environment and quality manager with Northumbrian Water Group (NWG), adds a user’s point of view. Lone Worker Solutions deployed its LoneWorker Manager platform to protect and support more than 1,500 lone and remote NWG staff – but it has to work seamlessly across a number of employee types and communications technologies. 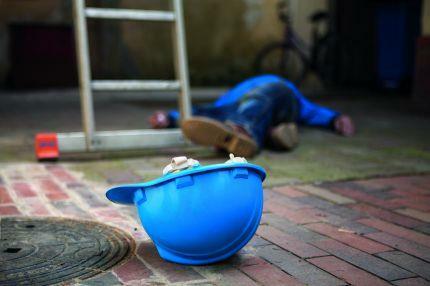 Given this diversity what should you consider when procuring a lone worker safety system? Firstly, “the organisation should always conduct a risk assessment of each employee’s role and ascertain which lone worker solution best eliminates or reduces those risks,” says Murray. “There are numerous factors to consider. For example, if the geographic area the individual operates in suffers from poor mobile phone signal coverage then their device should be fitted with a roaming SIM card, or if there is no signal coverage they should opt for a satellite-based product. “Another issue could be whether the employee is working outdoors, in which case they may need a waterproof or ruggedised device. Each worker has a unique set of circumstances, which the employer should consider and discuss with suppliers,” he adds. One setting could involve staff working without easily contactable support in a large building, an industrial site or a mine. What happens if they get into difficulty? Here a dedicated communications system might be necessary. Malm says: “When we look into advanced features like automatic location of the lone worker, GPS doesn’t work indoors so you should have other systems in place – RF beacons for instance.” An example covered recently by Land Mobile is Chatterbox’s CALM+ (Chatterbox Alarm Location Monitoring) system, used by Thames Water’s Walton Advanced Water Treatment Works, which offers a robust DMR-based two-way radio supporting voice, text and GPS (with help from Bluetooth beacons in internal areas where GPS may not be effective). “If the threat they’re facing is on rare occasions – the few times you’re actually without supervision – it might be more realistic to use a smartphone app because it’s more likely that you would remember to carry your phone rather than on a very few occasions remember to bring a dedicated device,” adds Malm. An example is a lone worker app developed by Morrison Utility Services for its staff. Freefall detection or detection of no movement for a long period are part of the system, as well as a panic button and (to avoid false alarms) an alert text that permits alarm cancellation. For really remote working, however, a check-in system that also allows you to report back to a control centre, or a track and trace product may be useful. But what happens when you’re too remote to receive a cellular or PMR signal? Murphy points out that Globalstar’s low earth orbit satellite constellation enables SPOT users to stay connected when other networks aren’t available. But when you do have coverage why not just use an app most of the time? “If you’re looking at industrial or remote use cases then a dedicated device is better: they’re easier to use with gloves on and more robust,” says Malm. “There isn’t any likelihood users would forget to turn on the lone worker function at the start of a shift. There are so many issues that can go wrong with consumer-grade devices and especially apps. A dedicated device is usually more fully developed in terms of its ability to have a strong signal reception.” And in some cases – petrochemical refineries, say – you need protected equipment so a conventional smartphone would be out of the question. Dedicated devices are also built for easy use: small, portable and “they sometimes don’t even have a display – just a few buttons: one large alarm button and a few other buttons, a large battery and a durable case,” adds Malm. Similarly, Skyguard’s MySOS alarm can be worn as a pendant on a lanyard, fixed to a belt using its holster, attached to a bunch of keys using the keyring, worn as an ID badge with the ID badge holder accessory, or simply carried in a pocket or handbag. MySOS is small and incorporates GPS, GPRS and man- down technologies, mobile phone position request (which lets you see where the device is at any moment), and an SOS alarm function. So what does this mean in practice? Northumbrian Water chose Lone Worker Solutions’ hybrid satellite and smartphone offering, but Somerville says picking a system “probably took about two years. We interviewed 10 different companies as our starting point but quickly whittled that down. We went for the one that was most suitable for our needs. felt the need to use it,” Somerville concludes. If you decide to purchase lone worker protection you won’t be unusual. As Murray says: “The market is growing year on year; with an estimated six to eight million lone workers in the UK alone, and many more employees who work on their own at some point during the day or less frequently such as once a week.” Malm warns: “There’s a large grey area where a lot of companies buy quite cheap appliances from Chinese suppliers, so it’s bit difficult to get a good estimate of the whole market... It would probably be about €10 million for the devices themselves. The total lone worker market in the UK was probably around €50 million in 2015.”“Increasingly robust health and safety legislation and best practice guidelines have been an important factor in driving adoption, along with increased media coverage of deaths and accidents at work,” Murray points out.